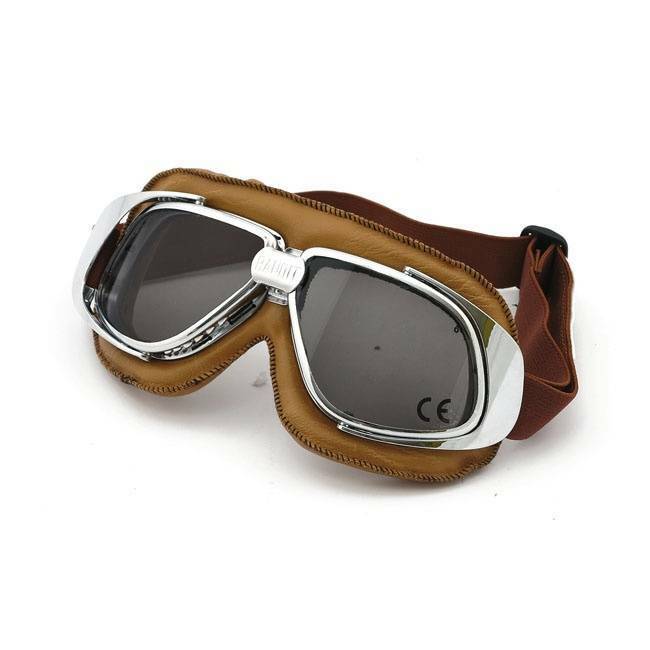 Leren goggles met diverse lens opties. 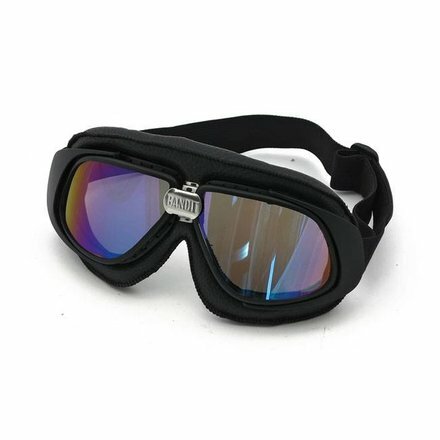 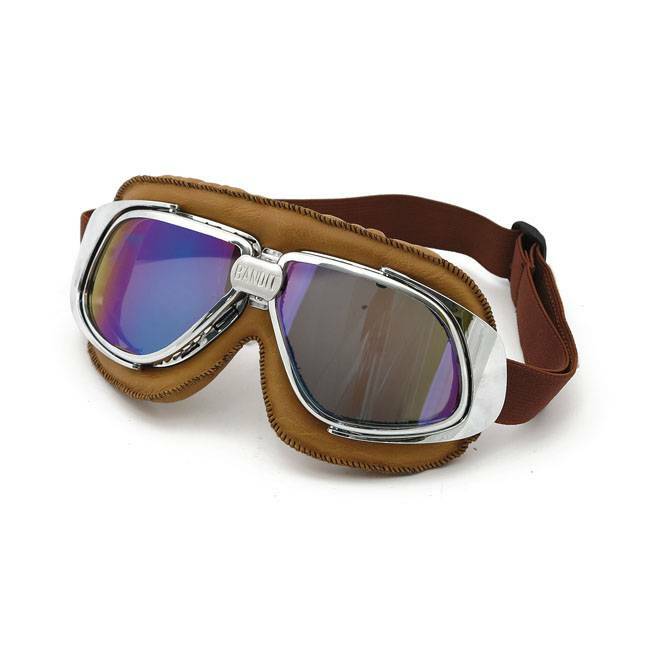 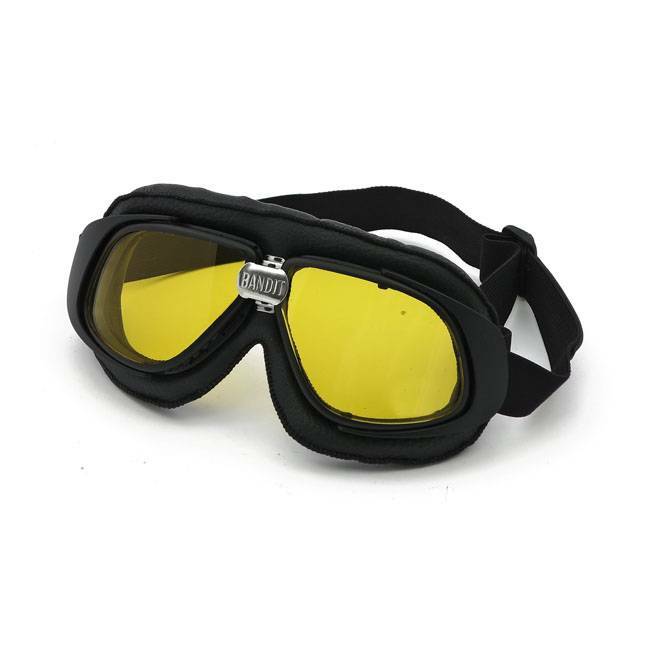 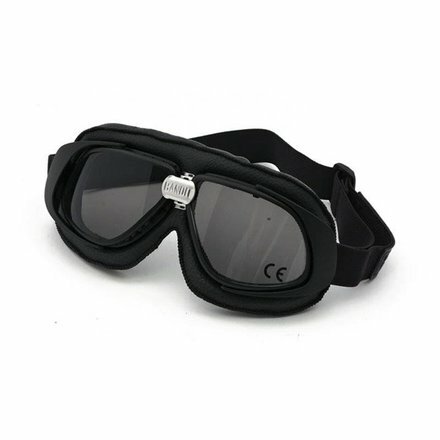 The Bandit Classic Goggle is a great value aviator style goggle for use on your motorcycle or scooter. 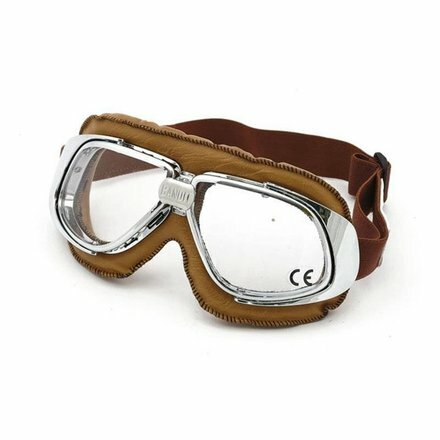 The goggles’ elasticated headband has enough adjustment to allow them to fit over or under an open-face crash helmet, and the unique attachment clips allow the goggles to fit comfortably against the face, even when worn over a crash helmet, making them an ideal goggle to wear when riding a classic motorcycle. 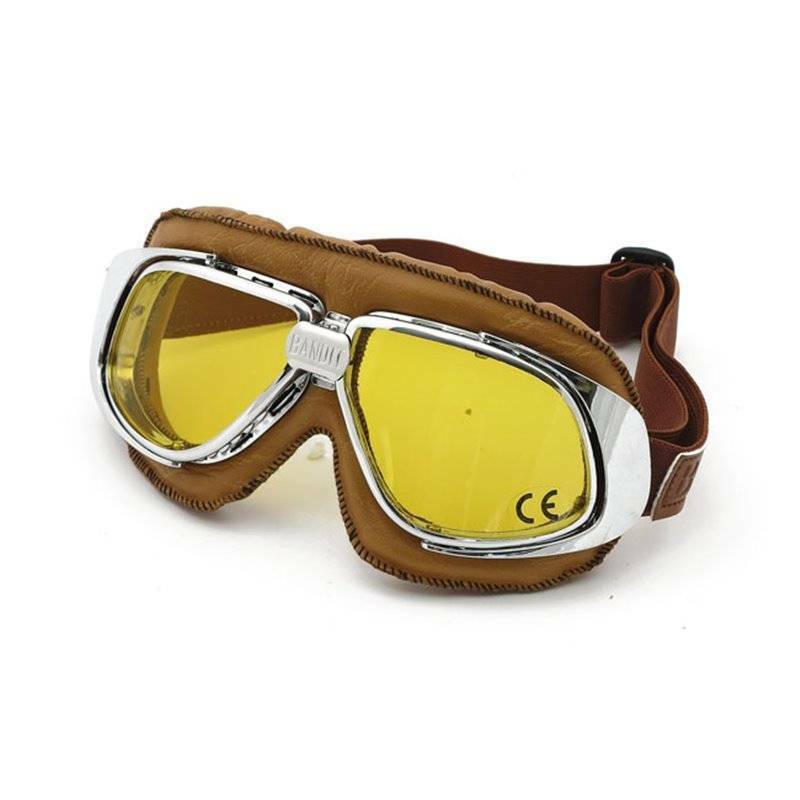 These goggles have a tinted lens.